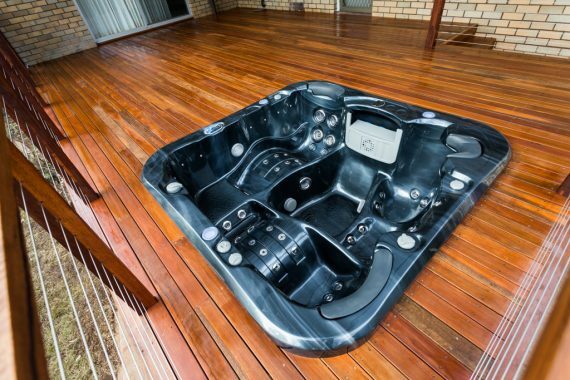 These homeowners certainly know how to relax outdoors! 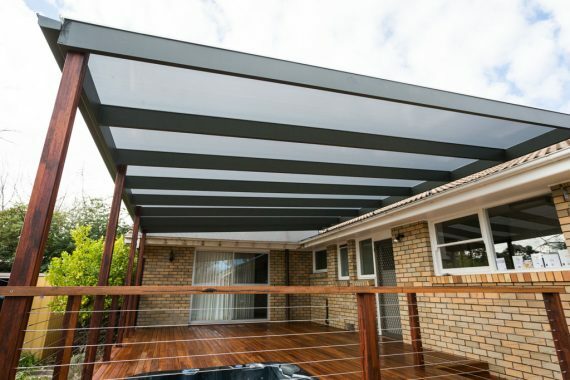 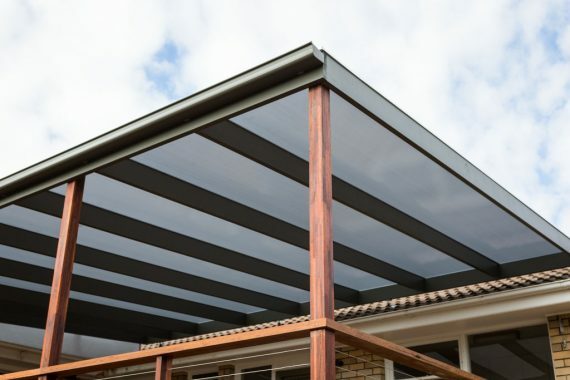 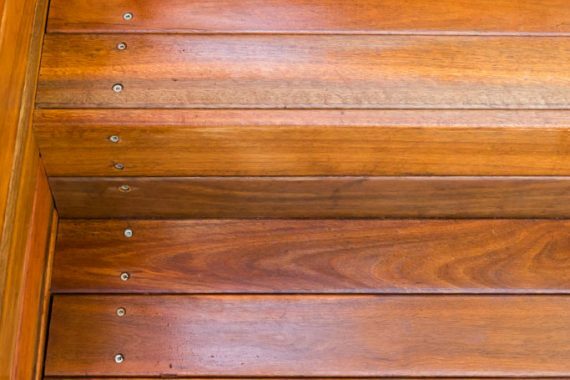 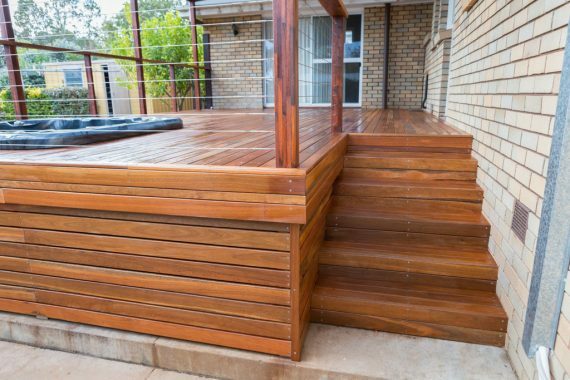 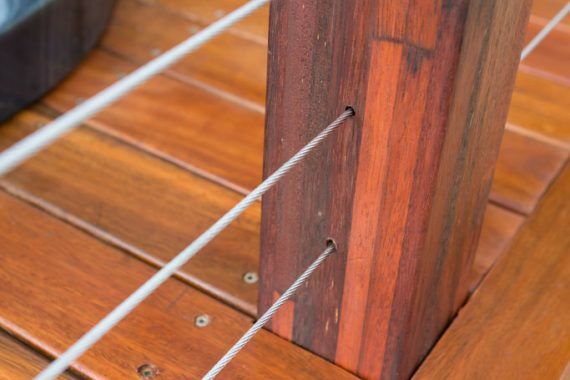 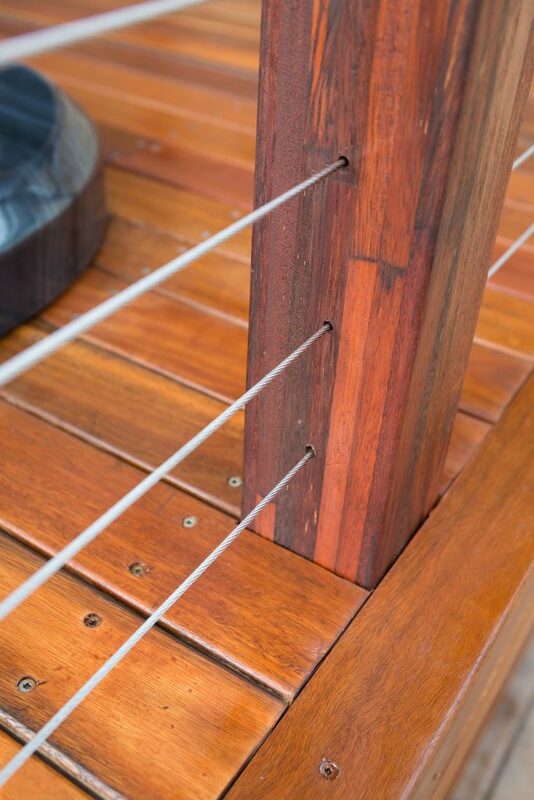 The rich coloured Spotted Gum deck was constructed around the three-person spa, whatever the weather; the Lexan Thermo-Clear pergola offers protection year round. 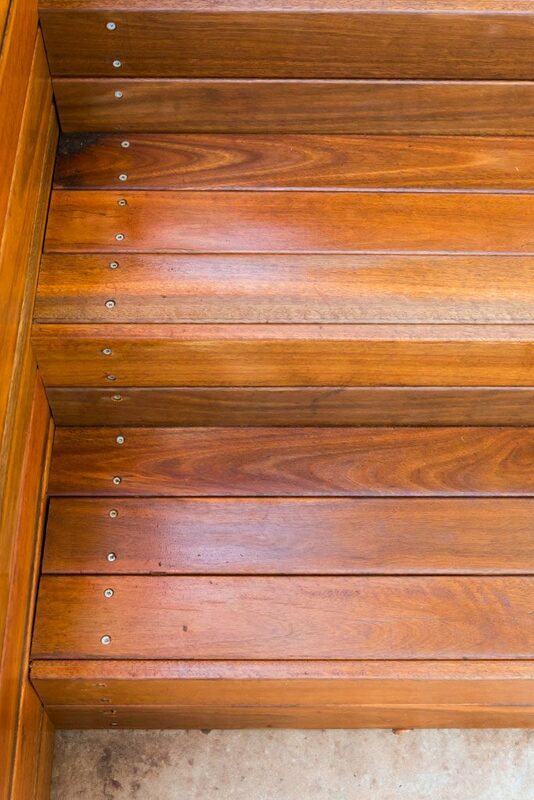 The deck itself is screened underneath with easy side access for storage and maintenance to the spa.